Today WhatsApp has released a new update on the AppStore, bringing the version number up to 2.18.100. I’ve downloaded the update in order to find what’s new or changed, so let’s immediately discuss about the changelog ..
WhatsApp 2.18.90 was only compatible with iOS 8.0 and newer, so it means iPhone 4 and all other devices still on iOS 7 (for example iPhone 4S, 5 and 5S) are no longer supported. It wasn’t compatible with IOS 12, but today we’ve a good news: the support for iOS 12 has been added, including the UI compatibility with iPhone Xs, Xs MAX and Xr. In the precedent release, you could reply to status using text, images, GIFs and videos. Thanks to the 2.18.100 update, you can also reply with documents, voice messages, locations and vCards, showing the same UI implemented in the chat. Note: this will be available in future! The 2.18.90/91 updates brought a new feature called Notification Extension: it allows to view received images and GIFs directly in the push notification. If you receive two or more voice messages, and you start to play the first one, WhatsApp will automatically play all other received consecutive voice messages! At the end of the voice message, WhatsApp plays a sound that indicates the voice message is ended. Immediately later, the next voice message is automatically played. No action is necessary from you. The feature is already enabled by default, enjoy! UPDATE1: In according to a few reports, the feature should be enabled within 15 hours or in the next update. UPDATE2: WhatsApp is rolling out now the possibility to automatically play consecutive voice messages (IOS)! How to quickly enable? Back up your chat history and reinstall WhatsApp (restoring from the backup), if the feature isn’t already enabled for you. I’ve recently spotted that WhatsApp is working to implement a dark mode. 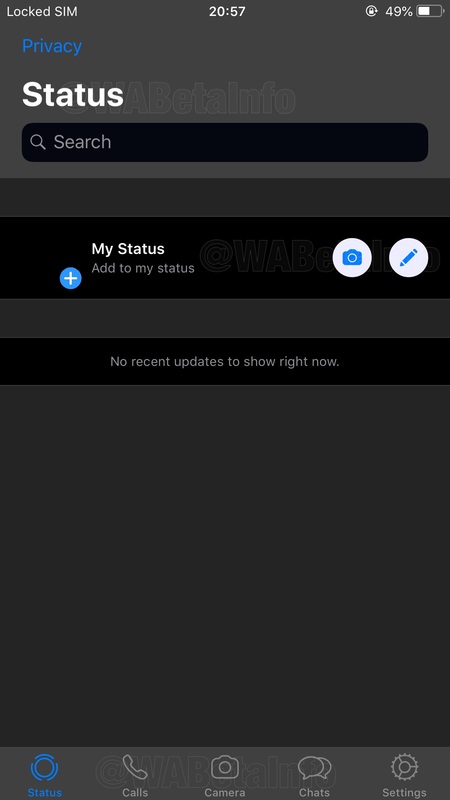 Today I’m finally able to show you some exclusive screenshots about how WhatsApp is developing the Dark Mode. There is not this feature in the 2.18.100 update, so don’t be surprised if you have updated WhatsApp and you don’t see it. This is an alpha stage, it means the appearance of the Dark Mode might be a bit different than the final version. 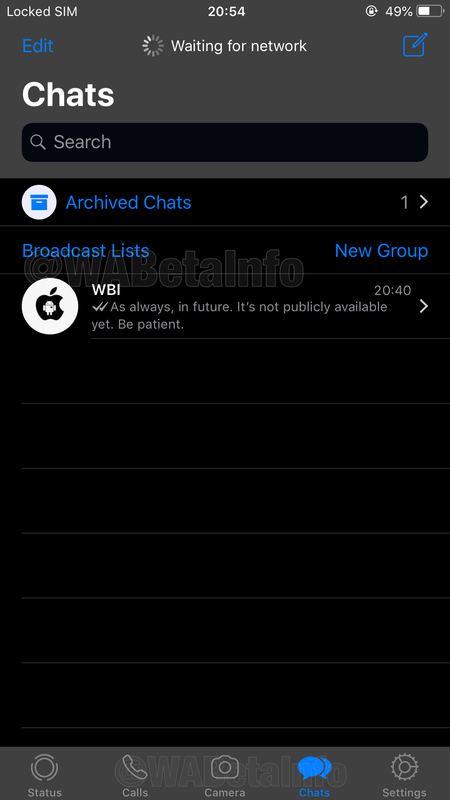 I don’t know when WhatsApp is going to release a new update for iOS to make available the Dark Mode for everyone. The user will be obviously able to disable the Dark Mode, if he prefers the White default mode. About Android, the Dark Mode should be available in future. At moment this is a preview just for iOS. We will post screenshots of Dark Mode for Android as well when possible, but you should consider that the Dark Mode for Android should be very very similar to this one, with same colors. Let’s see these screenshots now with a short description! It looks WhatsApp wants to make this dark mode like a dark gray mode. Cells appears dark, but the table background has a beautiful gray color. Bubbles have two new colors: incoming bubbles have a dark gray color, instead outgoing bubbles have a dark green color. The keyboard will be automatically turned Dark when the Dark Mode is enabled. Currently, WhatsApp has chosen to use these colors but the appearance may change before the official release, as mentioned above. Personally, I prefer a total Dark Mode, that should be OLED friendly with new iPhones, but the opinions are very personal. It would be a good idea to allow to the user to choose colors used from the Dark Mode, allowing us to have customized options for bubbles, buttons and the background of the tables: in this way, everyone can build an own dark mode with preferred colors. Will we never see this feature?.. Do you like this Dark Mode? Let me know on Twitter! WABetaInfo has listed this changelog and any other possible detail about the update will be published later on Twitter. Let us know on Twitter if you like this changelog and read our next announcements on our Telegram Channel! Previous PostPrevious WhatsApp is developing a Linked Accounts feature, Vacation and Silent Modes! 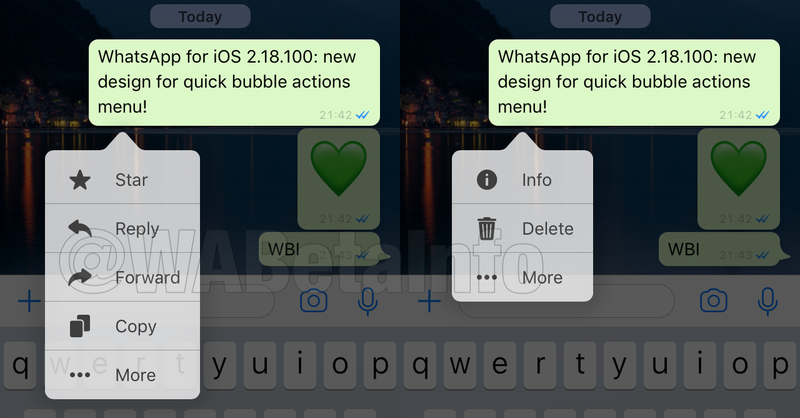 Next PostNext WhatsApp is working to add Touch ID and Face ID support!